GOING TO AUCTION!! YOU'RE GOING TO MISS THIS PRICE!! CALL NOW!! POWER LIFTGATE AND LEATHER!! Black 2018 Jeep Cherokee Limited FWD 9-Speed 948TE Automatic 2.4L I4 21/30 City/Highway MPG Bill Luke Santan is a family owned and operated business that has done business the right way since 1927. You can buy with confidence! Unlike our competitors, we DO NOT CHARGE for UNWANTED DEALER ADDS and our RECONDITIONING COSTS are INCLUDED in the sales price. Bill Luke Santan's price is based on Kelley Blue Book Price AdvisorTM - which allows you to see what other Arizona residents have paid for the same year, make and model of vehicle while considering vehicle mileage. See dealer for details or visit www.billlukesantan.com to see the difference for yourself! *Internet price includes $1000 finance bonus cash only available for prime lender conventional financing through Bill Luke, OAC (620+ score pulled by dealer) – some lender and term restrictions may apply. All price plus tax, title, license and $499 doc fee. Offer valid only on vehicles in stock at the time of purchase. Residency & other restrictions may apply. Second key, floor mats, and owner’s manual may not be available on all pre-owned vehicles. Quoted price is subject to change to correct errors or omissions. A $250 restocking fee for the 48-hour/120 mile return policy may apply. Not responsible for typos. 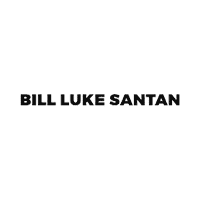 Bill Luke Santan	33.2893926, -111.7617546.